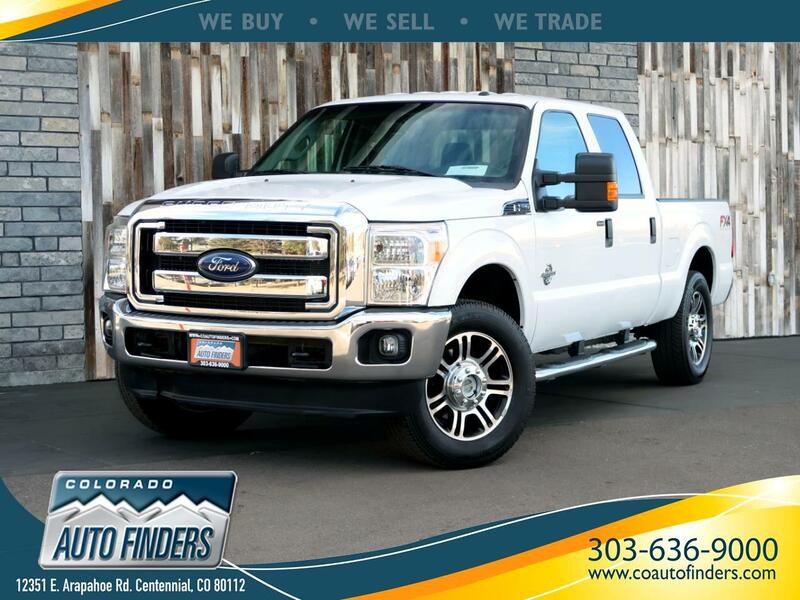 2013 Ford Super Duty F-250 SRW 4WD Crew Cab 156" FX4 for sale in Centennial. This Heavy Duty Truck is ready to Tow, Haul, and Carry your Family with 4 Full Sized Doors, Lined Bed, Trailer Hitch/Trailer Wiring Built-in, Front Tow Hooks, as well as a Stout 6.7 Liter Turbo Diesel V8! Some other great features on this truck include Power Locks/Seats/Mirrors/Windows/Adjustable Pedals, Bluetooth Phone Connectivity, Downhill Descent Control, Drive Train Selector for 2High/4High/4Low and Plenty of room in the Cab for 5 Adults!